Funeral services honoring Dolores’ life will be held on Saturday, March 23, 2019 at 12:00 p.m. at the Piasecki-Althaus Funeral Home, 3720 39th Avenue. Interment will follow in St. George Cemetery. A visitation will take place on Saturday, March 23rd from 10:30 am until the time of service. 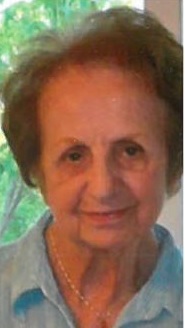 Dolores M. Sommers, age 90, of Kenosha, died on Tuesday, March 19, 2019 at Brookside Care Center with her family by her side. Born in Kenosha on November 12, 1928, she was the daughter of Carl F. and Sophia “Pat” Acerbi. She was a graduate of Kenosha High School. On September 12, 1953, she was united in marriage to Donald E. Sommers. Dolores was a telephone operator with Wisconsin Bell. Dolores loved jazz, watching classic films, and going to the theater. She loved attending plays and live musical concerts, especially when her nieces and nephews performed. She loved her weekly rituals of Wednesday breakfast at The Coffee Pot with the kids and Saturdays getting her hair done by the wonderful ladies of Haircrafters followed by lunch with the family. She was a member of the AT&T Pioneers Club and looked forward to the monthly lunch meetings. She enjoyed excursions with the Senior Center to Navy Pier and The Fireside Theater. She loved nothing more than going out with her family and friends, preferably a little lunch and a little shopping. She is survived by her step-son, Donald R. Schultz; her brothers, Carl (Barb) and Robert (Sharon) Acerbi; her sister, Gigi (George Bjorkland) Acerbi; her sisters-in-law, Elena Acerbi and Barb (Jim) Jones; her loving nieces and nephews; her great nieces and nephews and her great-great nieces and nephews who all loved Dolores very much. She was preceded in death by her beloved husband; her father, Carl Acerbi; her mother, Pat Orth; and her brothers, Peter and Tom Acerbi.